Benefits of Hemp Lotion by Silly Goats Soap Company. lotion is so good for you. 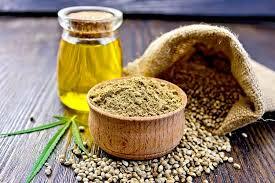 Hemp seeds are the seeds of the hemp plant called, Cannabis Sativa. They are from the same species of plant cannabis (marijuana) but a different variety. No, you cannot get high from hemp and you will not fail a drug test. However, they do contain a minute, trace amount of THC (.003%), the psychoactive compound in marijuana. Hemp seeds are exceptionally nutritious and rich in healthy fats, protein and various vitamins & minerals. Hemp oil is the 2nd ingredient in our lotion. So, there is a lot of hemp oil in our lotion. Saying that, hemp oil is richly packed with vitamins A, and E. Hemp is also loaded with Omega 3 and Omega 6 Essential Acids, trace minerals like; potassium, magnesium as well as phytonutrients. 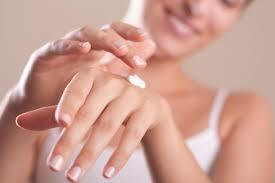 Vitamin E is an antioxidant and helps the shelf life of the lotion. Vitamin E is known to help fight free radicals, which helps fight anti-aging. Studies have shown that when used topically, it can also act as a protectant from skin damage due to sun exposure. Hemp seed oil penetrates the inner layers of the skin and promotes healthy skin cell growth… this is the recipe for soft, subtle skin. It is also true, researchers studying the effects of hemp seed oil on psoriasis, eczema, skin conditions that causes inflammation and dry skin, found that patients’ symptoms improved with the use of the hemp oil. Besides the hemp seed oil, we also have fresh goat milk, from our herd of Lamancha goats. We also add Shea Butter, Olive Oil, Sunflower Oil and a little more Vitamin E.
Pure Goat Milk – Loaded with 50 vitamins and nutrients. Goat milk is known for healing and rejuvenating skin. Goat milk is rich in Caprylic Acid, Lactic Acid, an Alpha-Hydroxy Acid. Alpha-Hydroxy Acid penetrates in to the top layer of the epidermis of the skin, removes dead skin cells, and stimulate the production of collagen and elastin, creating new, younger, brighter Skin. Shea butter – High concentrations of fatty acids and vitamins make shea butter an ideal cosmetic ingredient for softening skin. Shea butter also has anti-inflammatory and healing properties. Using shea butter on your body, especially your face, can condition, tone, and soothe your skin. Olive Oil – The pH in Olive Oil is very close to human skins , making it gentle and can be absorbed quickly by your skin, this makes it an excellent natural moisturizer. Unsaturated fats and Vitamins A and E are the beneficial properties in olive oil. Sunflower Oil – Sunflower oil is the source of Vitamin E. Its large amount defines the powerful benefits of sunflower oil for skin. So, Now you Know The Benefits of Hemp Lotion! So, there you have it. A little summery of the benefits of hemp lotion. We make everything right here on our little, Silly Goat’s Farm and we take pride in all the handmade goat goodies we offer you. It is our name that is going in and on every soap, lotion, etc. that goes out of our shop. W hope you enjoy and thank you for stopping by to visit!